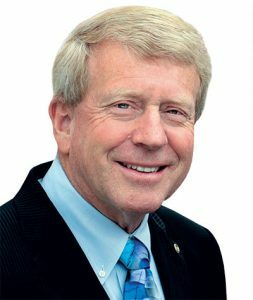 Larry Treleven has spent practically his entire life serving in leadership roles, from his family company’s board of directors to the president of the NPMA. By his own account, Larry Treleven has been associated with the pest management industry in some way since he “was old enough to fog a mirror.” And maybe even longer than that when you consider, after his birth in 1948, he was driven home from the hospital in his father’s Sprague Pest Solutions service vehicle. In his early role as a technician with the Tacoma, Wash.-based company, Treleven serviced bars, hotels and restaurants, doing ant, flea and termite inspections. Now, decades later, Treleven is vice president and co-owns Sprague with his brother, Alfie. He’s also served on the Sprague board of directors for 45 years. 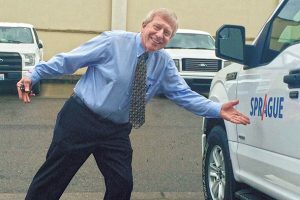 But none of this landed in Larry Treleven’s lap: He earned his place in the company after also serving as a Sprague sales associate and a branch manager. “I wore all kinds of hats doing different jobs at Sprague because we only had three other people in the company,” he says. Treleven greets retired CEO (and fellow Hall of Famer) Bob Rosenberg at PestWorld. Treleven held the president’s position for a number of years before stepping back to divide the responsibilities of running the company with Alfie. “During these years, I was also president of the Washington State Pest Control Association on four separate occasions and president of the Oregon Pest Control Association,” Treleven says, adding that he continues to serve on those governing boards as well as the board for the Environmental Care Association of Idaho. In Colorado, he sits on the state association’s Government Affairs Committee. That’s an impressive list of roles to have played, but if you know of Treleven, it’s probably because he was president of the National Pest Management Association (NPMA) from 1994 to 1995. “I’ve served in every leadership role in the national association since I became involved with it in 1972,” he says. One might consider that to be enough governing roles in pest management to fill three lifetimes — but wait! There’s more. Treleven is also recognized as a founding member of the Professional Pest Management Alliance (PPMA) and continues to serve as a state public affairs representative (SPAR) of NPMA for Washington, Oregon and Idaho. Treleven jokes around in the Sprague home office parking lot. However, despite being peripherally connected to the pest industry since his ride home from the hospital, for years Treleven set his sights on a far different future. Growing up in the north end of Tacoma, Treleven attests to having an idyllic childhood — boating on Puget Sound, enjoying summers at his grandfather’s beach in Gig Harbor and playing sports. During this time, Treleven was attending St. Edwards Seminary where he considered becoming a Catholic priest. While mulling over the idea of becoming a teacher, Treleven was working part-time for the family business — one his grandfather, A.H. Treleven Sr., purchased in 1931 from founder W.B. Sprague. His father, A.H. Treleven Jr., joined in 1937. 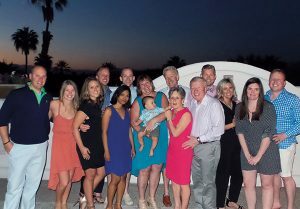 The Treleven family at a recent get-together. When his father encouraged Treleven to get involved with the Washington State Pest Control Association, the Pacific Northwest Pest Management Conference and the National Pest Control Association (now, the NPMA), he found that encouragement and inspiration was all around him. He cites fellow Pest Management Professional Hall of Famers Norman Cooper (1999), John Cook Sr. (2015), and Red Tindol (2000) among many of the strong influences and mentors along the way that helped guide him in the industry. “I recognized that the industry is full of good people and I wanted to remain a part of it,” he says. So he did. And now, Treleven — like many of the professionals who inspired him — is working to bring others into the fold. In fact, he counts this among his greatest achievements in the industry, a fact that’s especially significant when you consider his above-mentioned resume. “Recruiting and nurturing great people in our industry is important to me,” Treleven says. “There’s a lot of satisfaction in realizing that we’ve inspired and encouraged some of the fourth generation of our family to join the organization. Senior Editor Will Nepper can be reached at wnepper@northcoastmedia.net or 216-706-3775. 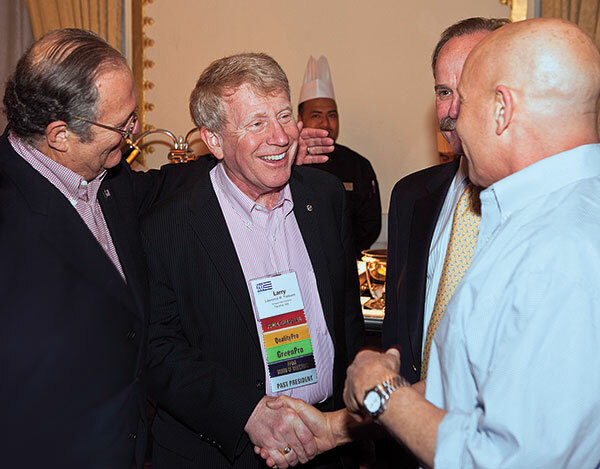 1 Comment on "PMP Hall of Fame 2016 Inductee: Larry Treleven dedicated to associations"